Early wake up call on our last full day in Eugene, but it was for a good reason. I met up with some of the Oiselle Elite Team ladies as well as well as my blog friend Morgan (miss @mohosjo) for a long run. We ran about 10.5 miles and time flew by as we chatted about random topics and gossiped. I wish I could run with them every day. 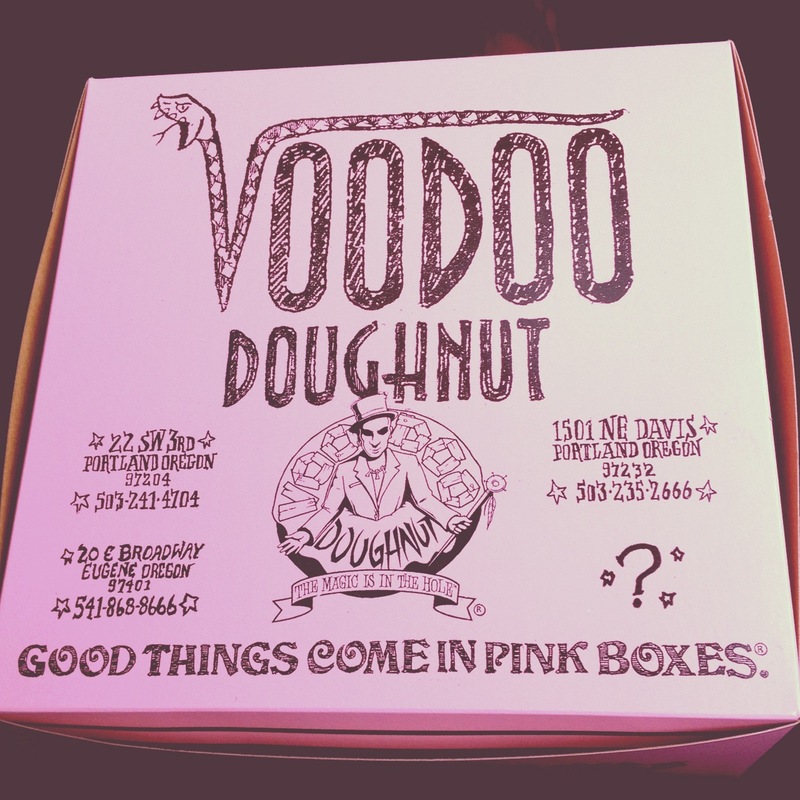 Afterwards Pete and I hit up the famous Voo Doo Doughnuts. I had a few bites of each one. 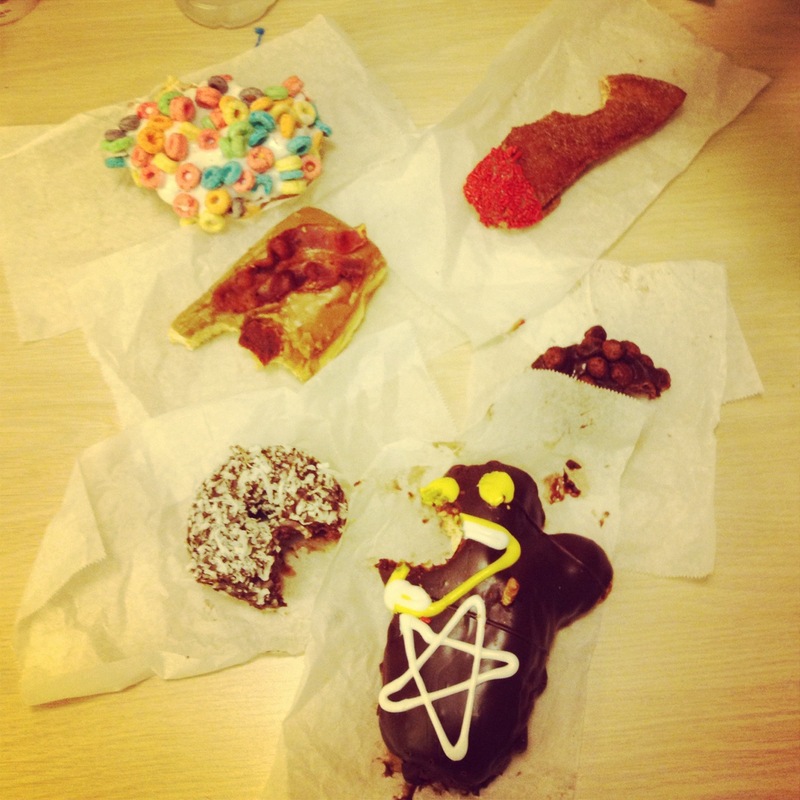 I really liked the one with Fruit Loops and the VooDoo Doll, but my favorite was the Maple Bacon Bar. Pete and I felt a little queasy for the afternoon but it was worth it. We showered and headed to the track for the final day of the Olympic Trials. It was a short day that was also packed with finals. We ran into Ato Bolden on our way to get lunch. 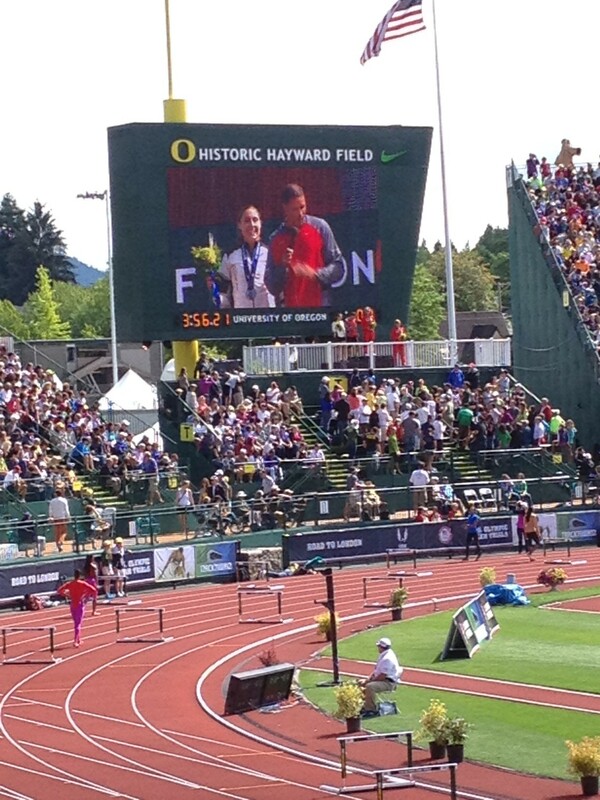 We were seated in the East Grandstand, with a great view of the javelin final. The field events were more exciting than I had expected. We watched one of the women hit the Olympic A standard and a huge PR on her final throw, and with that she had made the Olympic Team. We also saw Brittany Reese defend her title in the Long Jump after protesting the call by the judges that her jump had been a foul. Lots of drama even before the first race on the track. Olympic Gold Medalist and (former) World Record holder Dan O’Brien presenting awards to the women’s javelin team. 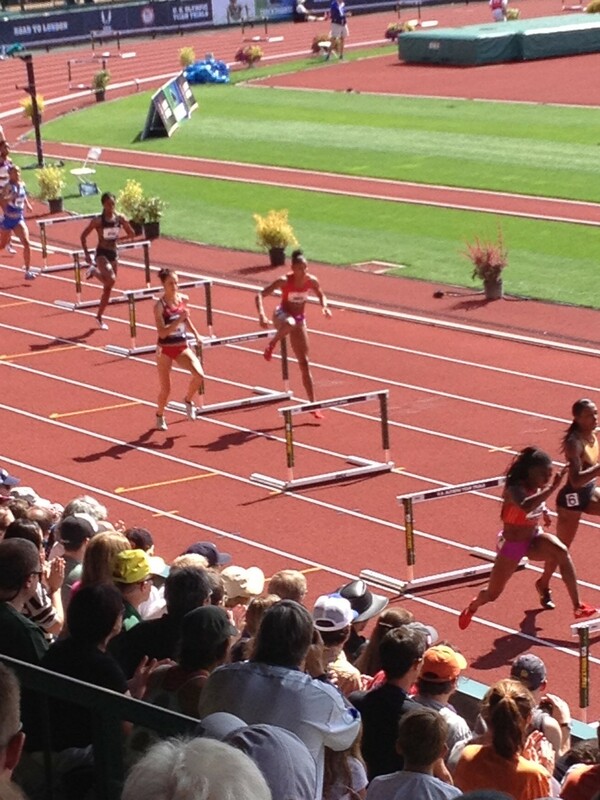 Women’s 400 meter hurdles final, won by Lashinda Demus (hip number 6). They were moving so fast it was hard to take a photo! I had to take notes for a Oiselle guest blog post during the women’s 1500 final so I didn’t get to take any pictures, but it was a great final. The men’s 1500 final was exciting too, as I was obviously too enthralled to snap any photos. 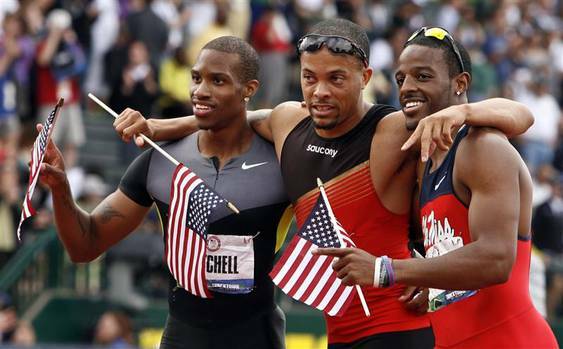 The last event was the men’s 200 meter final. Wallace Spearmon, Jr. won and his father, who was seated directly behind us, broke down into tears and wept. Everyone congratulated him on his son’s achievement, and he asked me who else had made the team. He had been so happy for his son that he didn’t even pay attention to whoever finished behind him (and rightly so). I quickly checked Twitter and let him know that Maurice Mitchell and Isiah Young had also made the team. Mr. Spearmon, as well as everyone else, was surprised that Shawn Crawford had not made the team. The Trials were over… so what next? Time for some food and then the after party. 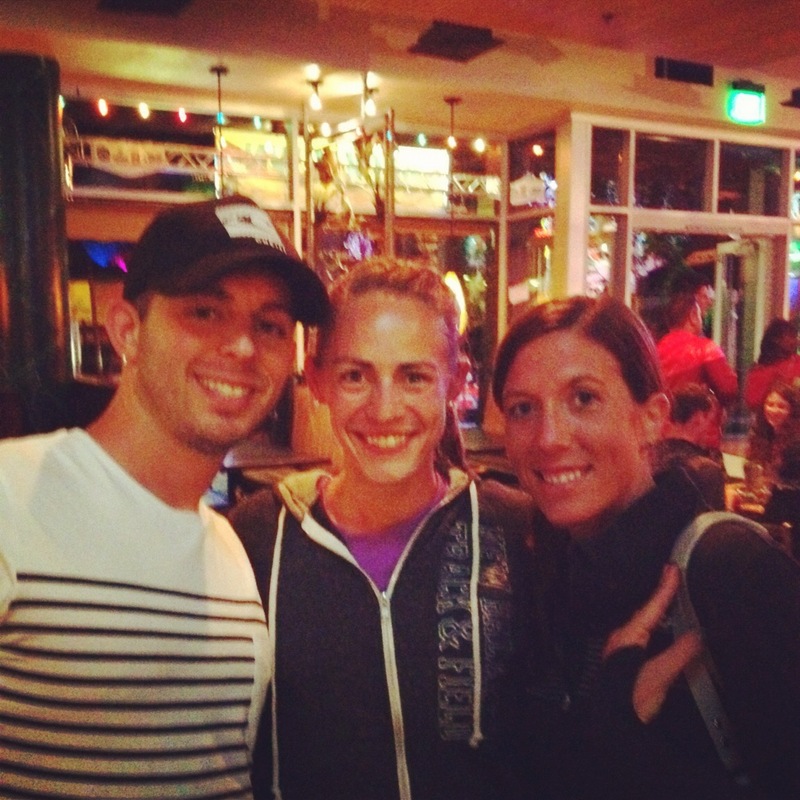 We met up with my James Madison teammate Claire, a rep for New Balance, at the Wild Duck. Me with CW at the Wild Duck. 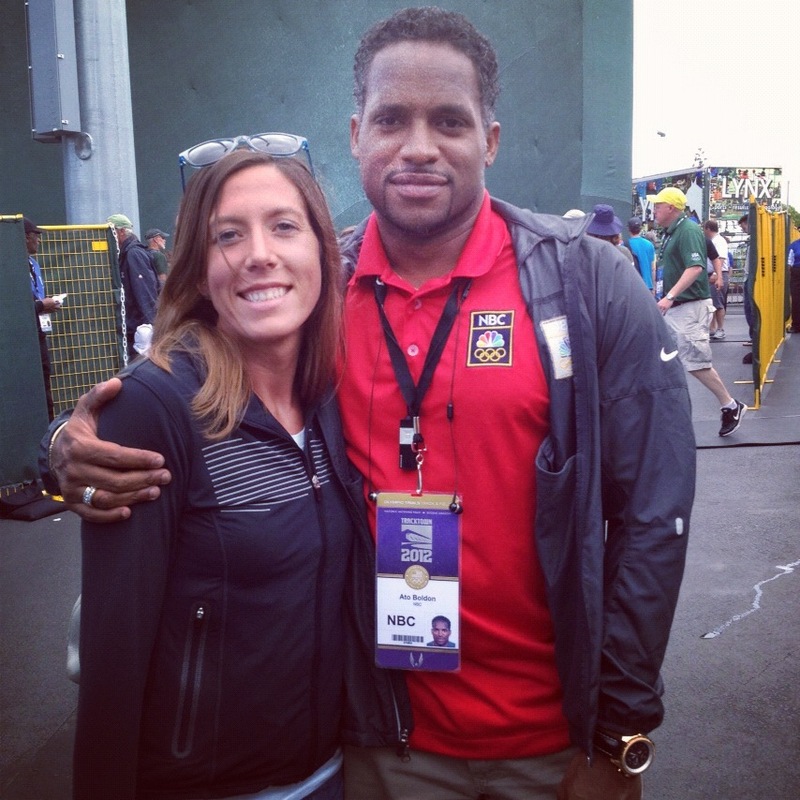 We were hoping to see Juli Benson, another JMU alum, and also the coach of New Balance athlete Jenny Simpson. 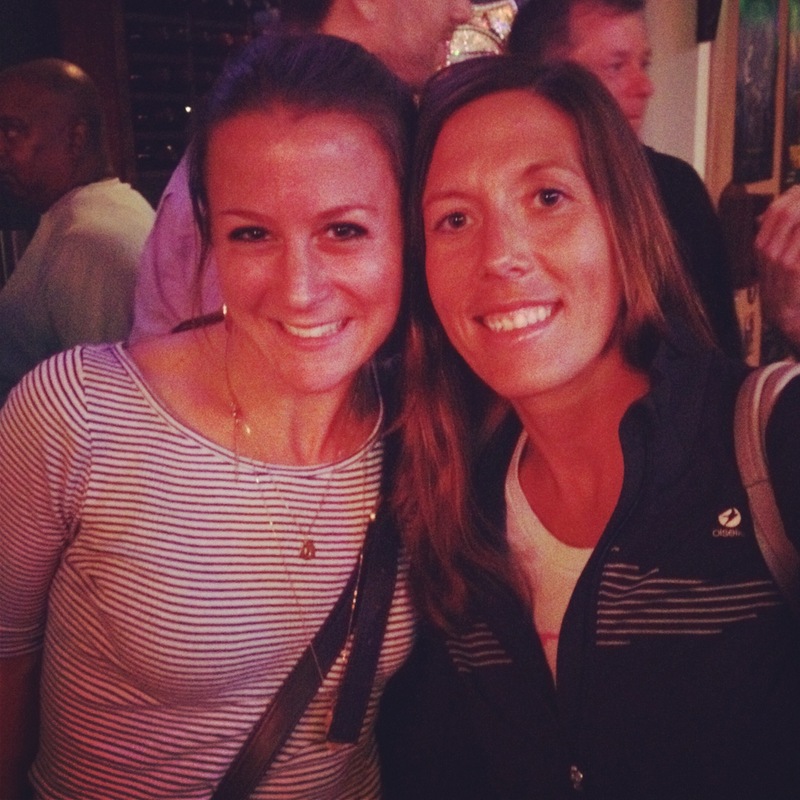 Unfortunately Juli did not make it out that evening, but we “settled” for meeting the 2011 World Champion at 1500 meters. She was very nice despite having been in drug testing and processing for hours after her race. Pete and I with Jenny Simpson. 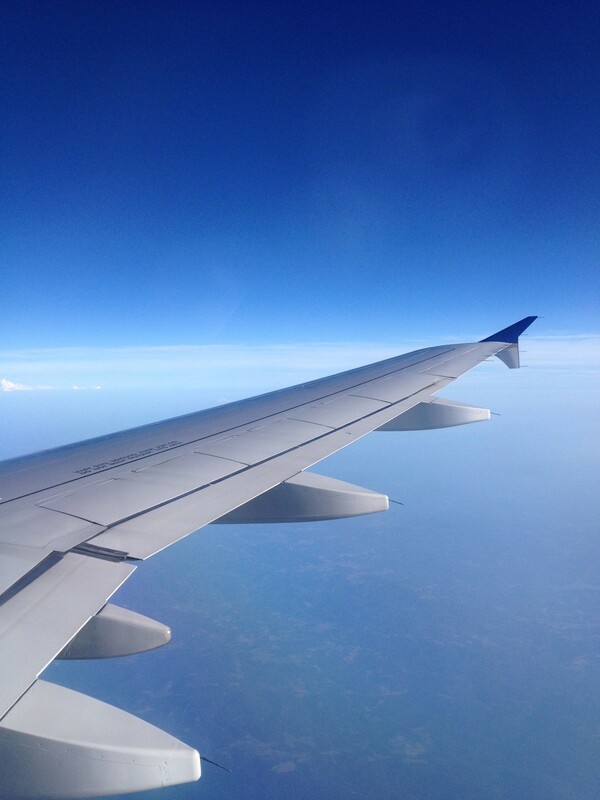 Eventually we made it back for a couple hours of sleep before our early flight back to VA. Although we were sad to leave, we were happy to see her once we got home! 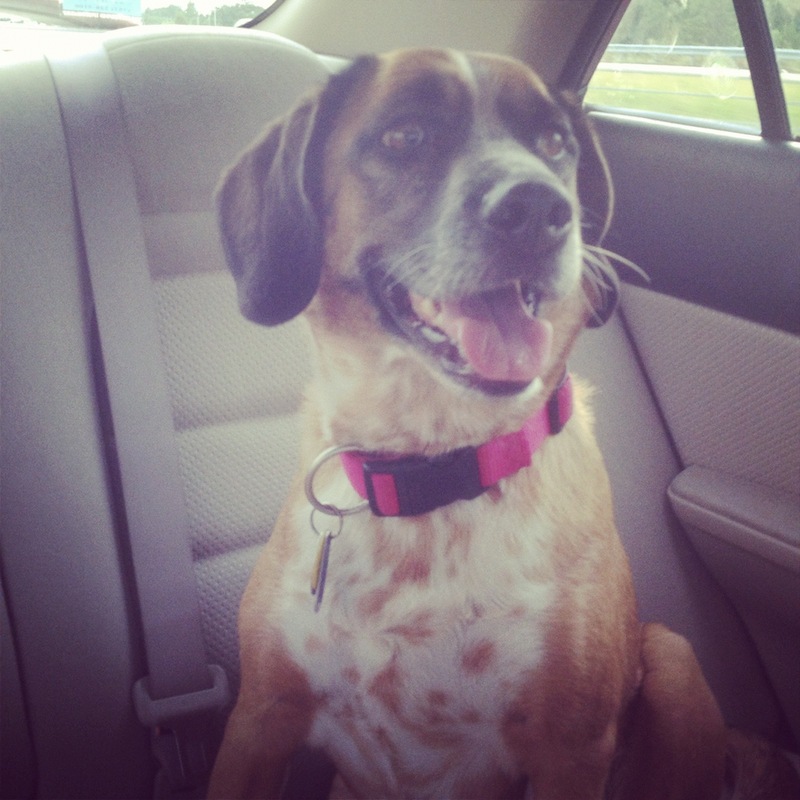 Bella our “furry daughter” on the way to NY the next day.